I love when designers have a good sense of humor and show it on runways. Remember Louis Vuitton 2007 show, where models were holding square check bags similar to cheap Chinese plastic bags? Before it was Helmut Lang in 2003, who presented several pieces of clothing this same check print. 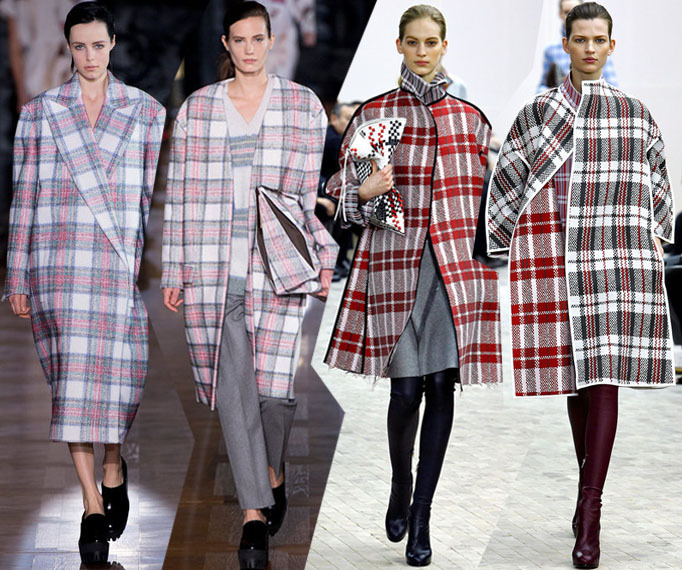 And finally last year Celine A/W 2013 fashion show was all about bright check prints in popular red and gray colors. But not only them caught my eye - check clutch bags we also worth seeing. Made by thin leather bands they looked unique and stylish! And I thought that it would be funny to continue this joke by making similar clutch bag from... cheap plastic bag! Wow, in Nigeria these cheap plastic bags are called Ghana must go bags, its a long story.